(Photo: FIFA © LOC)The 2018 FIFA World Cup Official Emblem with the president of world soccer's governing body Sepp Blatter (third from right), photographed in 2014. The governing body of world soccer, FIFA, has more influence than any religion, its president Joseph Blatter has said in an interview with a Swiss newspaper. "FIFA is more influential than any country in the world and every religion due to the positive emotions it releases," Blatter told the Swiss Sonntags-Zeitung, the German news agency DPA reported. "We move masses. We want to use this to create more peace, justice and health in the world." The 79-year-old Blatter is seeking re-election for a fifth term as president of FIFA at its upcoming congress May 29, promising to continue a process of reform for the governing body of world football. "We have to do everything to raise FIFA's credibility," he said. Blatter said he want to continue as FIFA president "because the majority of the federations" wanted him to stay. "I believe in God and I believe in myself. That's why I can fulfil my duties independently of age," he said. The vote for the FIFA president will take place in Zurich on May 29. Former Portuguese international player Luis Figo, Netherlands Football Association chairman Michael van Praag and Jordan Football Association president Prince Ali bin al Hussein are the other candidates. All three have been backed by various European soccer federations. Blatter is prohibited from using his office to solicit votes for his re-election. The Swiss soccer official is the favorite to win re-election from a majority of the 209 member federations at a time of criticism levelled at the governing body in recent years about how it performs and in allocation of World Cup venues. Blatter spoke to journalists on March 20 after a FIFA executive meeting at a press conference which largely centered on the World Cups in 2018, in Russia and 2022 in Qatar, Inside World Football reported. Blatter reiterated that neither country was in danger of being stripped of its host status. He rejected the idea of a boycott of the event in Russia called for by Ukraine's President Petro Poroshenko due to the occupation by Russian forces in the east of his country and its seizure of Crimea. 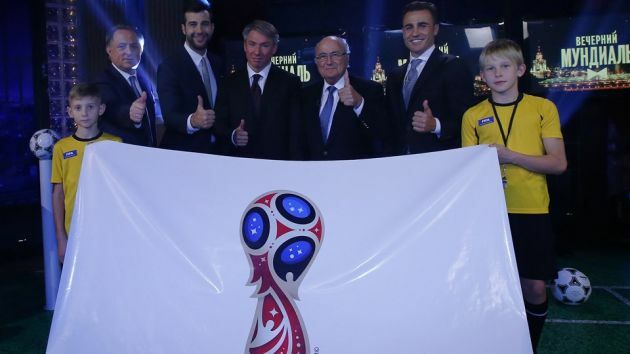 "The World Cup will take place in Russia in 2018, that's sure," said Blatter. "They are working very hard and a boycott of a World Cup or of any sporting event has never brought any solutions to anybody."